Improving the quality of plant conservation and facilitating habitat restoration across the Delmarva region by growing native upland and wetland plants of local origin. Saltwater wetlands support a diverse array of waterfowl and wildlife. 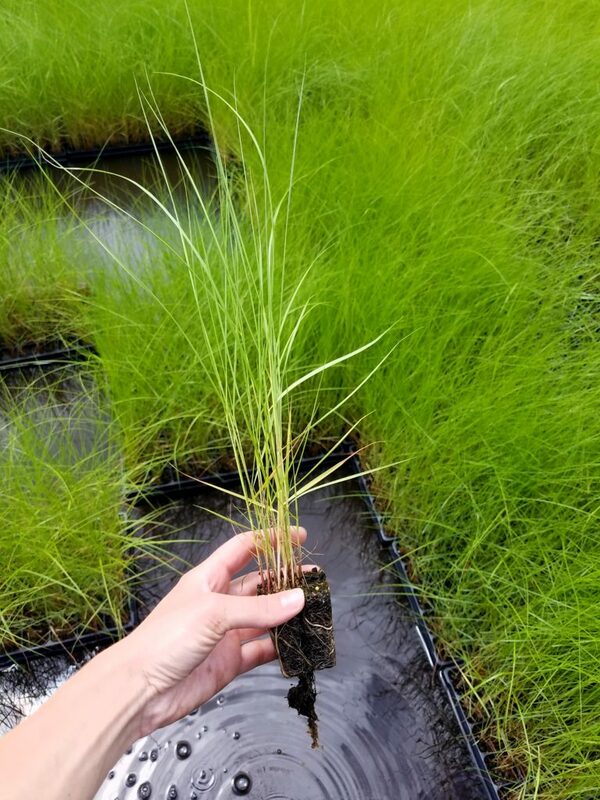 Delmarva Native Plants is a wetland nursery that grows large numbers of Spartina alterniflora (smooth cordgrass) and Spartina patens (salt meadow hay) to support living shoreline projects in the region. Verbena hasata provides abundant resources to pollinators around the Chesapeake Bay. Delmarva Native Plants grows many of the native plant species of upland and wetland habitats that help to support our regions fauna. We have a large inventory of seed that allows us to supply plantings of any size. All of our plants are grown from seed we have collected with permission of partner organizations within the Chesapeake Bay watershed. It is incredibly important to source plants for restoration projects from local ecosystems. We know we are providing local genotypes which will ensure the success of our customers plantings and maximize the environmental benefit of their projects. 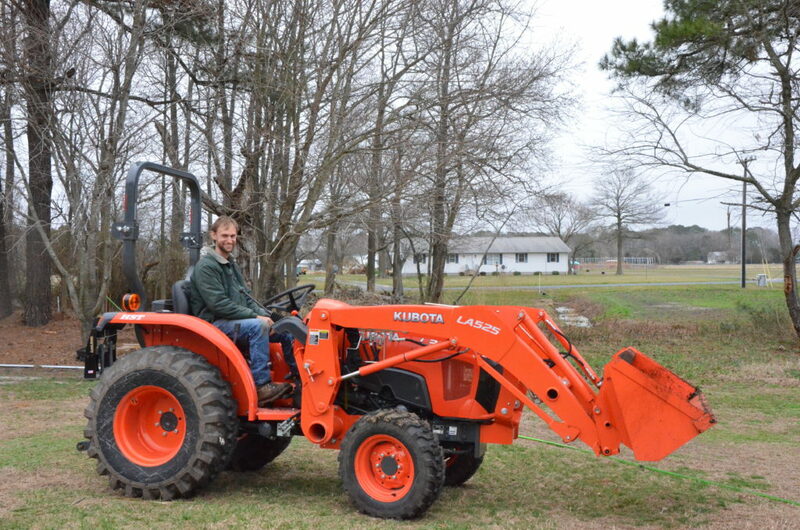 Delmarva Native Plants was founded based on a desire to create change in the environmental horticulture industry. Our use of exclusively local provenance genotypes is unique among regional suppliers. All of our wetland and upland plants are grown directly from seed, ensuring natural genetic diversity. No cuttings, no clones. Our plants will form the foundation of a viable population wherever they are established, whether it be a living shoreline or rain garden. We have a diverse array of plant species available, covering a broad range of habitat types. Everything from salt water wetland plants to dry upland meadow. 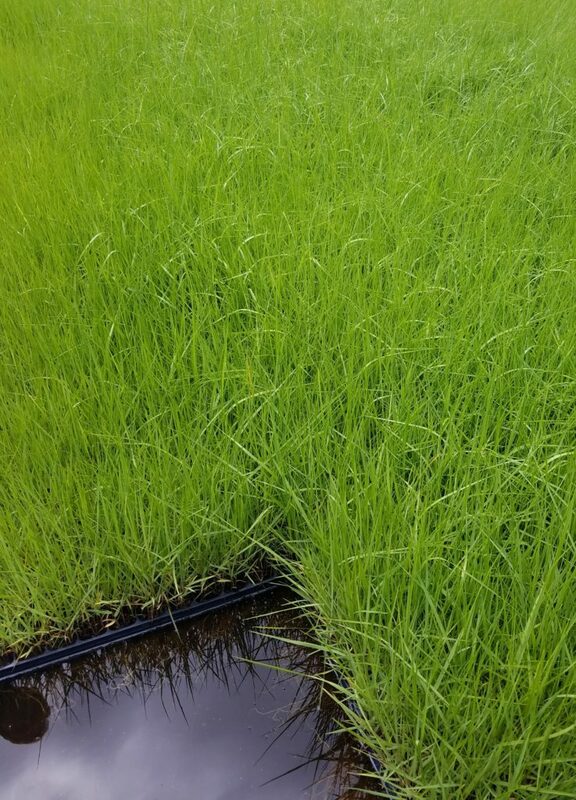 We specialize in growing wetland plants: Spartina alterniflora (smooth cordgrass) and Spartina patens (salt meadow hay). Clark has dedicated his career to the conservation of our native flora. He earned a BS and MS in plant science from University of Maryland College Park and has spent 10 years working in the horticulture industry. He has specialized in the cultivation of native plant species with particular emphasis on Spartina alterniflora (smooth cordgrass) and Spartina patens (salt meadow hay). Clark firmly believes that the horticulture industry should be a force aimed at preserving our natural environment as it continues to face ever increasing degradation. Jill has always had a passion for environmental preservation. She grew up watching her home town in Long Island develop, which motivated her career path. After receiving her BS from Salisbury University, she began her experience restoring components of the Chesapeake Bay. 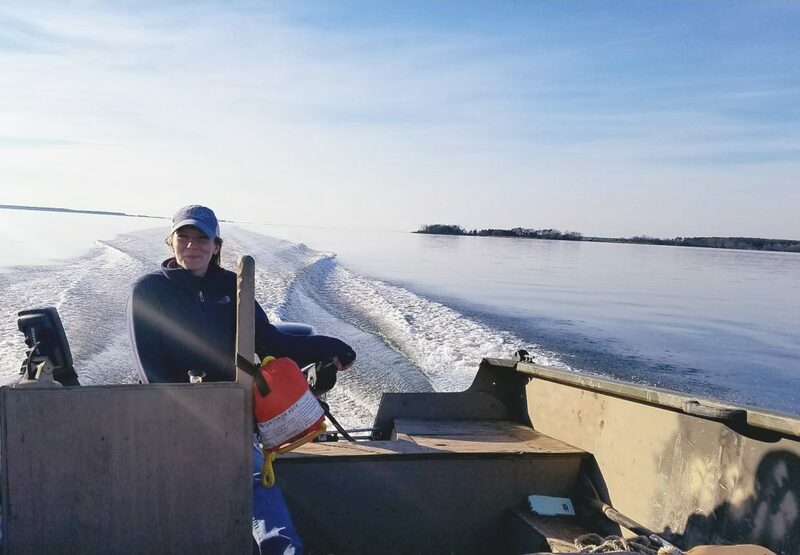 Jill has a combined five years of experience restoring Harris Creeks oyster population and then growing native plant materials for living shoreline restoration and ecological landscapes. Jill hopes her work will allow others to enjoy the Chesapeake Bay and all the activities it provides. Delmarva Native Plants primarily grows Spartina alterniflora (smooth cordgrass), Spartina patens (salt meadow hay), and Distichlis spicata (spike grass) in 2″ plugs. Our native plant nursery also has many other species available throughout the year. For an availability please contact us by phone or e-mail. Custom grow orders are welcomed and discounts are available for large orders. Click the link below to view our great selection of native plants. We are wholesale to the trade, and before making a purchase please view our terms and conditions.